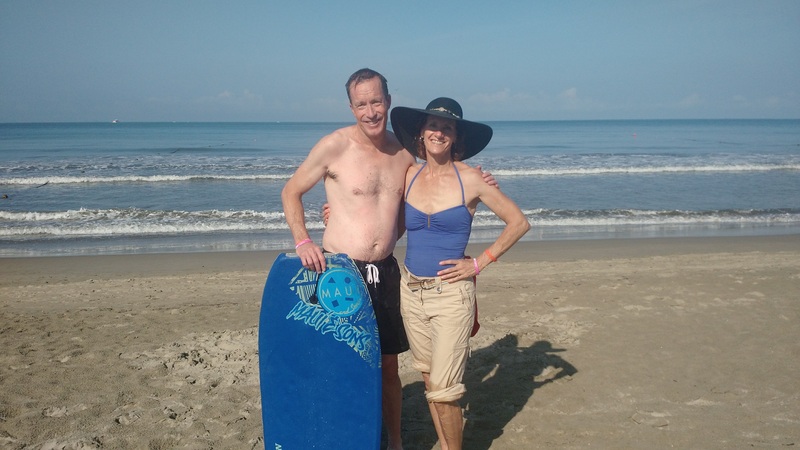 We just got back from an incredibly relaxing all-inclusive vacation with friends in Mexico, where you could dine to your heart’s content in 5 different restaurants, be served fancy frozen drinks on the beach, go on adventurous excursions (like ziplining! ), and indulge in soothing massages every day. It was awesome, and my body was utterly stress-free when I got home! However the one thing that was a little too lax was attention to my digestive system. While I ate carefully on vacation, I did allow some variances from my strict diet. And then with an already compromised body dealing with Celiacs, even a little indulgence can bring the digestive system down to a “delicate” status. 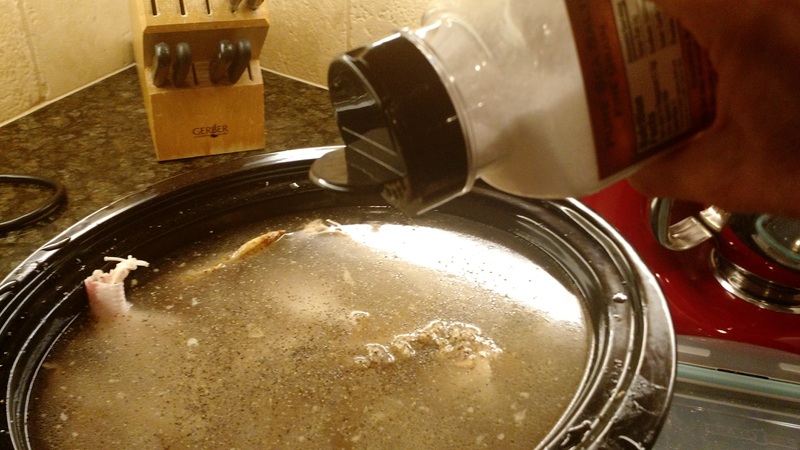 So what to do?… Make a batch of bone broth, of course! It is not often that something that tastes so delicious is also so good for your body. Since returning home, I have been sipping a cup or two a day, just like I do my coffee. Mmmmmm, AND there are so many benefits that come from bone broth! Heals ‘Leaky Gut’ – Leaky gut is when your small intestines are inflamed and irritated so that ‘gaps’ form in the digestive lining and all kinds of things like gas, bloating, fatigue, weight gain, and more bad symptoms occur. And when your immune system is mainly in your digestive tract and your ‘gut’ becomes compromised, it opens up your body to a host of other problems. The natural gelatin in bone broth coats and “seals” the mucosal lining of the digestive tract which helps the small intestine absorb nutrients and supports a healthy immune system. And to make bone broth is SO SIMPLE! It’s basically bones and water + crockpot + time. I heard that chicken feet increase the natural gelatin (collagen for skin) in bone broth so I gleefully got my “chicken paws” at Walmart for $2.23/lb. I added 6 chicken feet to my last batch, but I would add more next time to increase the gelatinous nature of my broth that much more. ( Side Note: When my family discovered my “chicken paws” stashed in a bag in the refrigerator’s meat drawer, they freaked… “What is Mom up to now with our dinner menu? !” Yet ultimately they know it is for their betterment that Mom has “something special” in store for them! ). And it was great! I enjoyed a cup of broth for breakfast and another at night, and my system improved more rapidly than if I had no broth. Bone both… Just what the doctor ordered! This is the "bare bones" for making Bone Broth. You can add vegetables and your favorite seasonings to customize it to your liking. Put chicken bones, skins, juices, etc. into a crockpot. Cover bones with water and then some (an inch more, perhaps). In morning strain the solids out of crockpot, and enjoy a cup of broth rather than a cup of coffee! I store leftovers in glass quart jars for refrigerator or BPA-free plasticware for the freezer.